Roanoke Police are looking for the gunman who held up a convenience store across the street from Washington Park. Police say it happened late last night – no word on how much was taken. 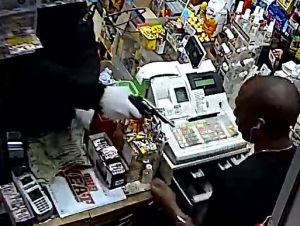 From Roanoke Police: On Tuesday, May 8 at around 11:30 p.m., Roanoke Police responded to a robbery call from a business in the 1600 block of Burrell St. NW. The clerk of the store told arriving officers a man came into the store and robbed them at gunpoint. 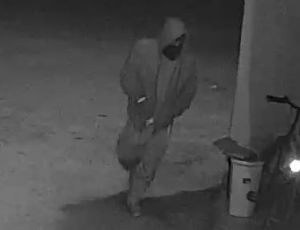 The suspect is described as a black male wearing a black hooded sweatshirt, a black mask covering half of his face, and either white or light gray gloves . The suspect’s gun is described as a black revolver. The suspect stole an undisclosed amount of money and exited the store heading east. Roanoke Police Detectives would like to identify this suspect to further their investigation. If you know him, please call the RPD tip line at (540) 344-8500. You can also text in your tip by texting 274637. Please begin you text with the word “Roanoke PD” to make sure it gets to us. Both calls and texts can remain anonymous. Please reference case number 18-049106. All suspects are considered innocent until proven guilty.